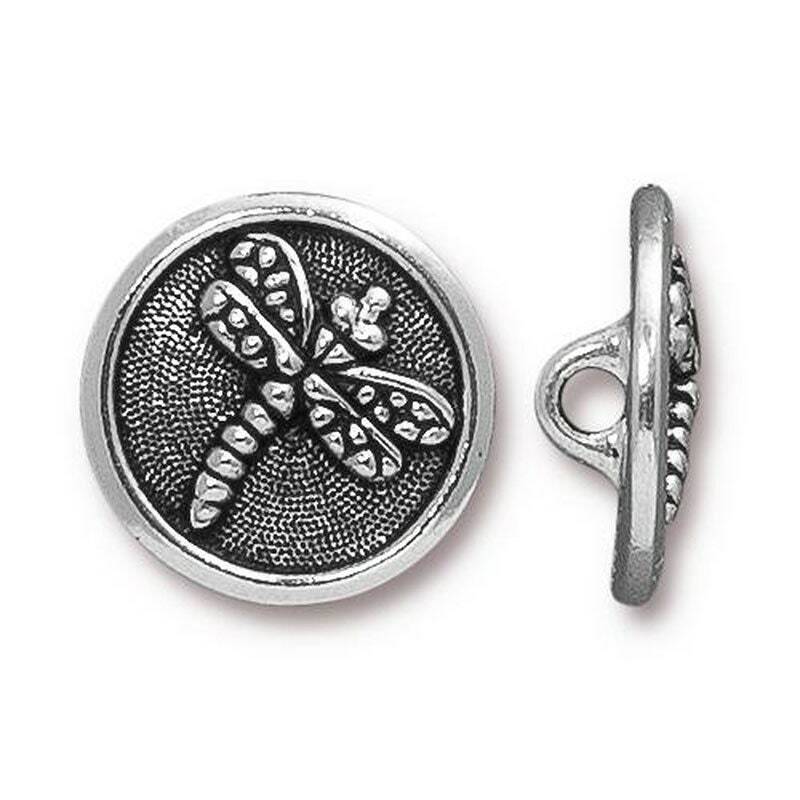 Dragonfly antique silver tone TierraCast button. Button measures 17mm in diameter and 4.5mm thick. Lead free pewter. Great for bracelets! You will receive one button. Absolutely beautiful buttons with impeccable quality.